Ship of unknown nationality in Wajima, Ishikawa prefecture, Japan, was found in mid-Nov. off Noto peninsula and towed to shore. Authorities are investigating nearly a dozen wooden boats carrying decomposing bodies found drifting off the northwestern coast over the past month. Coast Guard officials said Tuesday, Dec. 1, 2015, they have found at least 11 shoddy boats, carrying the bodies of unknown nationality since late October. They have also found fishing equipment and nets on board and signs written in Korean, suggesting they came from North Korea (Kyodo News via AP). TOKYO, Japan - They drift into seas near Japan by the dozens every year, ghostly wrecked ships thought to come from impoverished North Korea. Japanese authorities said Tuesday they are investigating nearly a dozen wooden boats carrying decomposing bodies that were found off the country's northwestern coast over the past month. In most cases, the bodies are in such bad shape after being at sea for weeks that it's been impossible to determine their cause of death, officials say. 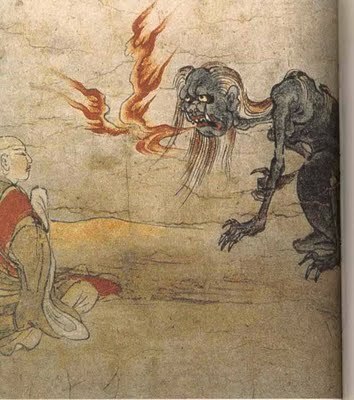 Japan has an extraordinary history of "shapeshifters" (kami) and "hungry ghosts" (pretas). Some ghosts (pretas) feed on corpses. Preta is the Sanskrit (peta in Pali) name for a type of supernatural being described in various Indian religions including Buddhism. 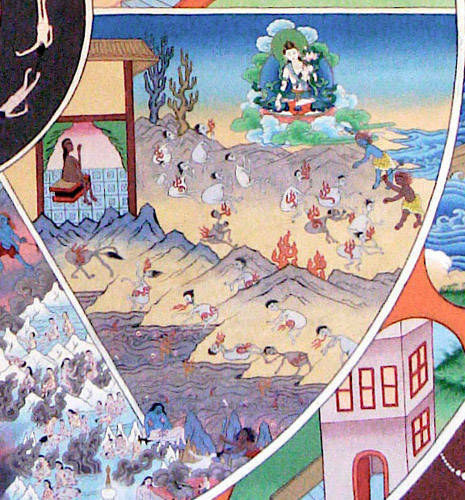 Such beings are undergoing suffering greater than that of humans, particularly an extreme level of hunger, thirst, and deprivation. 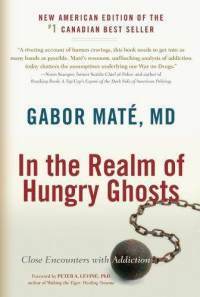 Preta is often translated into English as "hungry ghost" from the Chinese adaptation. In early sources such as the Buddhist collection of ghost stories (Petavatthu), they are much more varied. Most descriptions apply mainly in this narrower context. Pretas are believed to have been jealous, greedy, false, corrupted, compulsive, or deceitful people in a previous life. 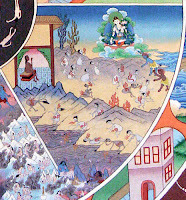 As a result of such karma, they are afflicted with an insatiable hunger for a particular substance or object.